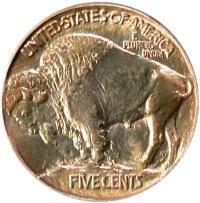 If you’re familiar with the Buffalo nickel series, you’re probably aware that its design had such a high relief that it’s common to find them so worn you can’t even read the date. That makes the coin shown above all the more impressive. 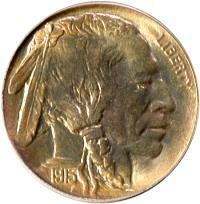 On a scale of Proof-60 to Proof-70, this 1913 Type I Buffalo nickel graded PCGS Proof-68. It was sold from the Captiva Collection for $75,900 in the Bowers and Merena August 2005 Baltimore auction. Try not to get any drool on your keyboard.